Driving into New Mexico, where one of the more frightening experiences of the cross-country trip happened. ¶ We were looking for hot springs near the Rio Grande Gorge bridge when four men appeared behind us out of nowhere, probably from a cave. They had been drinking. My adrenalin and heart-rate shot up immediately upon seeing them. ¶ I said “Get ready to jump in the river”, and then had a thought. I looked up to the cliffs high above the gorge and began shouting “John! John! We’re down here! We found the springs!” I waved and smiled. The men became surprised and a look of angry disappointment flashed on their faces as we stepped around them and climbed back up the path as fast as we could. 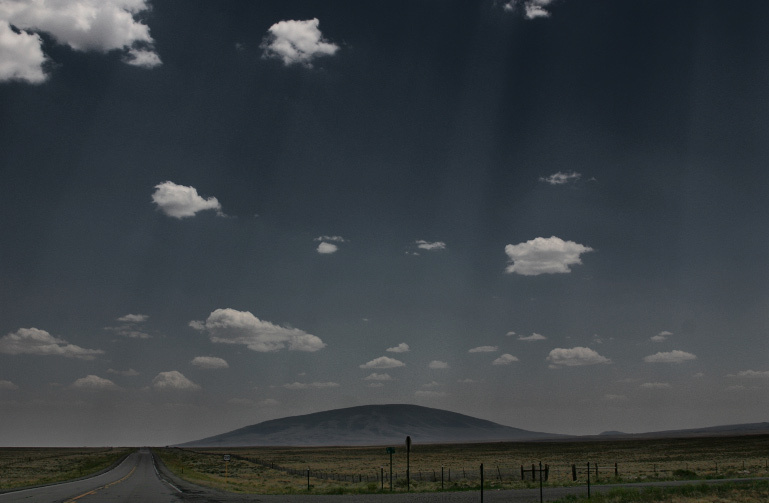 ¶ New Mexico took on a menacing air to me after that afternoon.